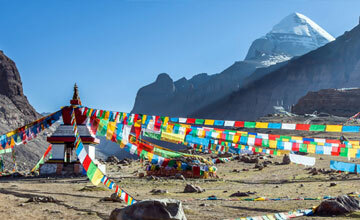 Kailash guge kingdom trekking known as Guge Kingdom Kailash trekking is one of the popular trekking destination in Tibet. 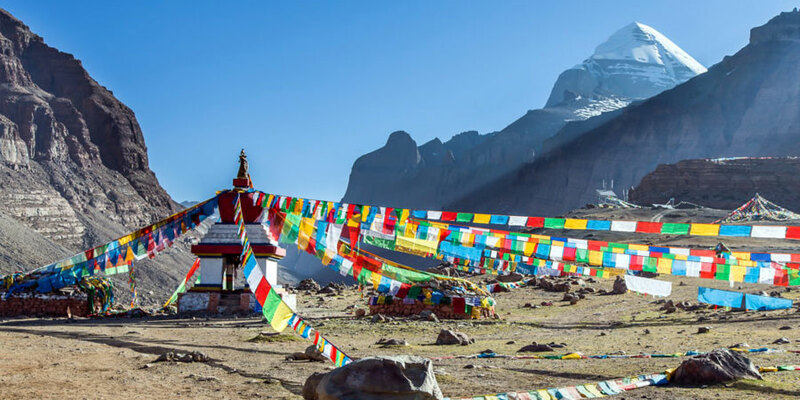 Kailash Guge kingdom trekking take you heart of the Tibet to explore holy Mount Kailash, Holy Mansarovar lake & beautiful Guge kingdom area. Guge Kingdom was founded on tenth century by a descendant of King Lang Darma, who fled from Lhasa after the collapse of Tubo Kingdom . This Kingdom survived about 700 years and disappeared mysteriously in the 17th century. Guge Kingdom is famous for murals. Sculptures and stone inscriptions which you can find on the surviving structures, there are still white palace, Red palace, Yamantaka Chapel, Tara Chapel and Mandala Chapel are in good condition. You will get many inscriptions on there part, so it is known as Hidden Kingdom . The attractions of Guge Kingdom Trekking are the Hidden Guge Kingdom, Guge Valley, Tsaparang Castle, Tholing Monastery, Palaces and Monasteries under Guge Kingdom, Zhada country, holy Mt. 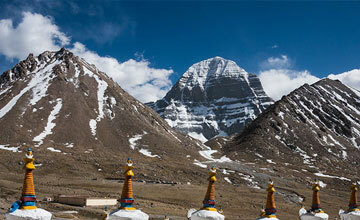 Kailash, Trekking around Mt. 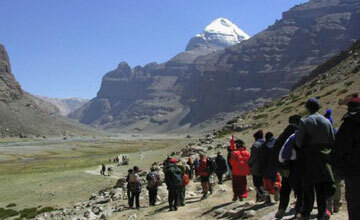 Kailash, Mansarovar, high passes, Land and golden hills on the way to Guge, walking and camping in Tibet etc. Guge ruins, the good selection for strong kingdom have many historic things which will be totally mysterious for this modern life. Kailash Guge kingdom trekking begins at Tibet kodari border after 5-6 hours drive from Kathmandu but travelers may join from Lhasa too. 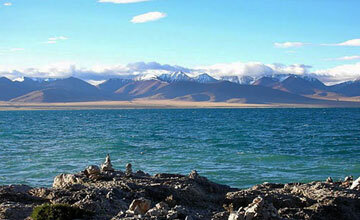 The Guge Kingdom is a wonder of Ngari. Thide Nyinmagong's second son of his three sons occupied Tsaprang and established the Guge Kingdom. 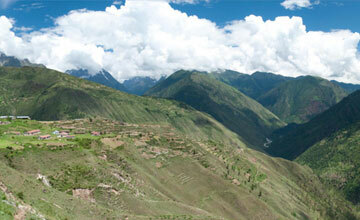 More than 400 houses and 800 caves scatter on the 300 - meter - high mountain slope. 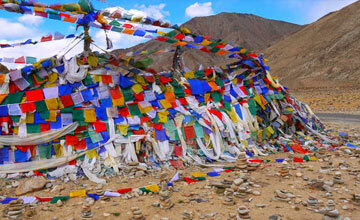 Tsaprang Ruins cover an area of 720,000 square meters. 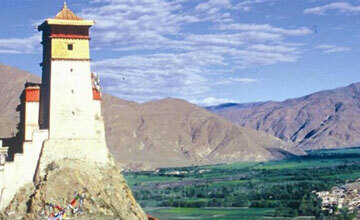 It is the second largest building complexes in Tibet next to the Potala Palace. The main buildings include the Red Temple, White Temple and Mandala Hall. More than 1,000 square meter murals on the walls of the Samsara Hall are most precious. 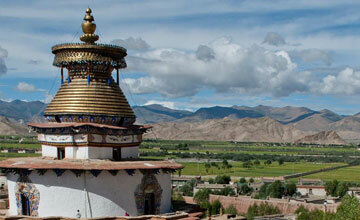 Tholing Monastery was built in eleventh century by the king of Guge. This tour includes rigorous overland driving, trekking and camping through remote regions of western Tibet, at altitudes of 2,745m/9,000ft and 4,880m/16,000ft, hiking to a maximum of 5600m/18,400ft. Guge valley Kailash trekking will be more luxurious & interesting by the dedicated & quality services of a Nepalese Sherpa team that includes a camp cook and guide. All the camping equipment will provided by Himalaya Journey treks and Expedition , Nepal as well as While trekking, we make available porters/pack-animals for carrying the equipments & luggage, clients will carry a small daypack only & hike at easy pace. Himalaya Journey Treks & Expedition will arrange the Guge valley and Kailash trekking tour according to trekkers/ travelers desire and wish. Day 01: Arrival in kathmandu 1334m, Himalaya Journey Treks & Expedition’s representative will transfer to hotel , Guge kingdom Kailash trekking briefing with officially arrangements. overnight at Kathmandu. Day 02: After breakfast, our tour guide will take to for historical monuments sightseeing in kathmandu valley such as Boudhhanath: visit Bodhnath Stupa, one of the biggest Buddhist shrines in the world, where we observe Buddhist monks in prayer in the monasteries surrounding the stupa than visitPashupatinath: the most famous Hindu temple in the country, located on the banks of the holy Bagmati River. Here you see Hindu holy men (sadhus) meditating, pilgrims bathing and occasionally funeral pyres burning on the ghats. Kathmandu durbar square: you will enjoy with different Hindus Temple , Goddes Kumari, legend of Kathmandu valley and prepare for the Guge valley kailash trekking .Overnight at kathmandu. Day 03: Early morning, drive to Kodari and then to Nyalam. Day 04: Drive to Yak Kharka. Day 05: Drive to Dongpa. Day 06: Drive to Mayumla Phedi. Day 07: Drive to Manasarovar. 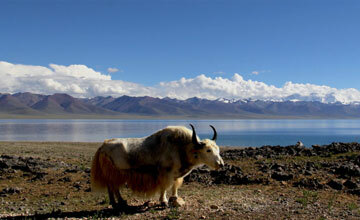 Day 08: Excursion of Lake Manasarovar. Day 09: Trek to Dirapuk. 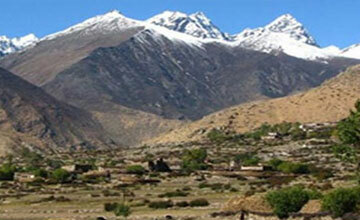 Day 10: Trek to Zutulphuk. Day 11: Mt. 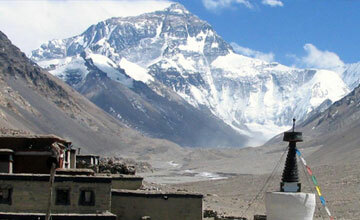 Kailash Parikrama. Return to Darchen. 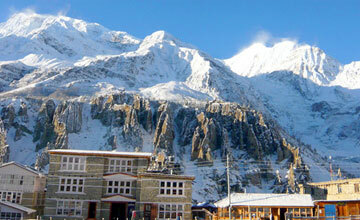 Day 12: Drive to Tsaparang. Day 13: Drive to Toling. Excursion of the Guge Kingdom. Day 14: Drive to Dongpa. Day 15: Drive to Hor. Day 16: Drive to Paryang. Day 17: Drive to Saga. Day 18: Drive to Lhatse. Day 19: Drive to Shigatse. 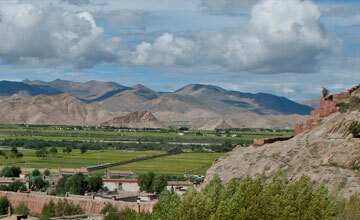 Day 20: Drive to Lhasa. Transfer to hotel. Day 21: Visit Potala Palace, Jokhang Temple, Norbulinka Palace, Drepung & Sera Monastery & Barkor Street. Day 22: Early morning, drive to Gonggar airport for flight to Kathmandu , transfer to hotel ,Relaxing or shopping with own activities than in the evening farewell dinner in Nepalese Restaurant, overnight at kathmandu in Hotel .